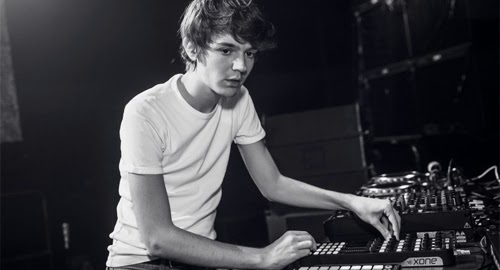 Discopop Directory: What's Madeon up to today? Why, he's shamelessly promoting his new album, Adventure, which "drops" in a fortnight. And with good reason, because it's shaping up to be one of the more exciting electronic albums of the year. The latest teaser for the record is a song called Home - and, for once, he's put his own vocals on it. The French DJ (Hugo Pierre Leclercq to his mum) explained why in a series of tweets last night. In january of last year, I stopped touring completely to focus on writing music for Adventure. By the 18th hour, the combination of sleep deprivation, creative frustration and isolation put me in this weird vulnerable state. Premiered by Annie Mac on Tuesday's Evening Session, it's a stunning track - happy and sad and uplifting and moving all at once. Here's the official audio. You should also check out Madeon's current single, Pay No Mind, featuring Passion Pit, which is awesome.